Immigration in the developed countries is the most discussed topic, and some people favor immigration and few seriously oppose the immigration. However, who know the mantra of the development would never stop immigrants flow into their country. The Canada Immigration is rapidly bringing changes to the system of immigration to welcome the most qualified people into the country. 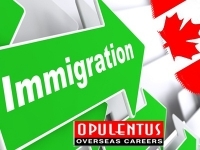 Canada Immigration is at the phase of revamping the whole system of immigration. Firstly, the new Government started using the new name for Canada Immigration agency, Immigration, Refugees and Citizenship Canada. Previously, it was Citizenship and Immigration Canada. Changes to Canada Citizenship Laws: The most benefiting factor is the requirement of only one language to apply for the Canada Citizenship. Earlier, it was both French and English proficiency a mandatory obligation for the eligible candidates to apply for the Citizenship. To apply for the Canada Citizenship, residing in the Canada for three years out of five years is necessary. Before the changes, it was four years out of six years. International students living in Canada will have the benefit of the half period out of the total time spent in Canada. Canada Immigration Minister John McCallum announced that spouses of the Canada Citizens and permanent residents will have the benefit of direct permanent residence upon arrival in Canada. The immigration plan of Canada 2016 focused specifically on family class immigration. It is a unique system of the Canada Immigration, to welcome the French-speaking professionals as potential immigrants to reside in the province outside the Quebec. Quebec is the French speaking province; this program will serve the purpose of the French minorities living in Canada other than Quebec. No significant changes were announced for the Canada Express Entry Scheme. The Federal Government is planning to review the system bring changes that is creating barriers to the employers from recruiting the foreign nationals. Labor Market Impact Assessment (LMIA) is posing some risks to the Canada business. LMIA Exemption for Television, Film, and performing art professionals. From February 17th, 2016 the professionals from Television, performing arts, film industry professionals, and producers who come to Canada are exempted from the LMIA approval. This is significant development benefits the professionals, however, producers will be granted short-term visas for two to three weeks. Canada Immigration Plan 2016 has surprised the world, through its massive plan to welcome the economic immigrants, refugees and family class immigrants. The Canada is inviting 300 000 immigrants' record high numbers in the decade. Canada Immigration Minister McCallum announced that immigration procedures would be revamped to mitigate the processing times. Notably, the processing times for family reunification will be changed as it is the streams were people are suffering from long waits.